We have selected some of the strongest academic research regarding interventions to support employees with managing common mental health problems at work and provided summaries below. All studies have been published in peer-reviewed journals and are presented under three headings: Organisational Interventions, Manager Interventions and Individual Interventions. This topic does not include Stress as mental ill-health. That said, the stress literature is useful to consider in this context and can be found under the topic ‘Stress’ within the hub. This topic also does not include the related topic mental health discrimination, this can be found under the topic ‘Mental Health Discrimination’ in the hub. Some of the strongest practitioner evidence regarding interventions to support employees with common mental health problems at work has been summarised below. These are empirical studies or work of publishable quality that provide case studies and reviews of interventions conducted in the workplace. The studies are presented under three headings: Organisational Interventions, Manager Interventions and Individual Interventions. This topic does not include Stress as mental ill-health. That said, the stress literature is useful to consider in this context and can be found under the topic ‘Stress’ within the Hub, for more information on Stress please click here. This topic also does not include the related topic ‘Mental Health Discrimination’, this can be found under the topic ‘Mental Health Discrimination’ in the Hub. A number of tools are available to support employees with common mental health problems. We have provided some useful links to free to use resources from reputable sources. Stress is also classified as a common mental health problem, however this is a separate Hub topic so we have not provided tools specific to stress here, for more information on Stress please click here. Mental health discrimination is also a separate Hub topic so we have not provided tools specific to discrimination here, for more information on Mental Health Discrimination please click here. These guidance documents have been designed to help managers and leaders support employees with managing common mental health problems at work. Stress is also classified as a common mental health problem, however this is a separate Hub topic so we have not provided tools specific to stress here, for more information on Stress please click here. Mental health discrimination is a separate Hub topic so we have not provided tools specific to discrimination here, for more information on Mental Health Discrimination please click here. A variety of toolkits and guidance documents have been developed to help employees with managing common mental health problems. 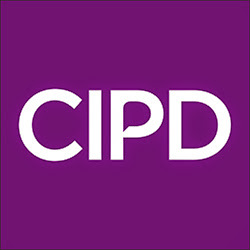 These resources have been developed to help practitioners take an organisational approach to supporting employees with common mental health problems in the workplace. Stress is also classified as a common mental health problem, however this is a separate Hub topic so we have not provided tools specific to stress here, for more information on Stress please click here. Mental health discrimination is also a separate Hub topic so we have not provided tools specific to discrimination here, for more information on Mental Health Discrimination please click here. A number of documents that relate to national policy implications are provided below. The resources are aimed at helping organisations to implement national policies and laws relating to common mental health problems at work. Stress is also classified as a common mental health problem, however this is a separate Hub topic so we have not provided policy and white papers specific to stress here, for more information on Stress please click here. Mental health discrimination is a separate Hub topic so we have not provided policy and white papers specific to discrimination here, for more information on Mental Health Discrimination please click here.